Published on January 9th 2002 in Journal. 4 Comments Tags: Baltimore, Friends, Oberlin, Otto, Tolya. Last night after work I headed to Baltimore to hang with Emily and her friends that were coming in from out of town. These friends were her old school friends from college at Oberlin. It seems no one ever finished college there. 2 of the 3 girls ended up leaving after the first year. Go figure. I’ve had a few other friends that have done the same. So it was cool meeting some more normal and down to earth friends of Emily’s. There was a lot of girlie hugging and looking through old photos that weren’t nearly as amusing to me nor Otto. Otto was Toyla’s boyfriend who was from Alaska. So what do you say to a man from Alaksa but “Hey, do you know Jewel?” I said it with the most sincere sarcasm. 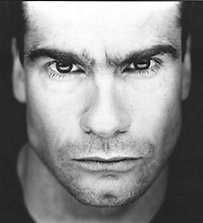 Similarly as if he would ask me, “Do you know Henry Rollins? Or even Ian MacKaye” Yeah, Henry went to school in Rockville when growing up. But Otto actually did know Jewel. He said her father taught math at the high school or something. Weird. You’d think with the money she’s making now she could fix her snaggletooth teeth. Yeah, but Toyla was super swell. Her boyfriend was quietly swell. They reminded me a lot of the people i’d like to be hanging with these days. Cara reminded me a lot of my friends from college. Just oozing with fun. She also has the same exact frame as Jess. Too weird. People are strange. So yeah, Emily smokes from time to time. It really doesnt bother me as much as other things have bothered me with other significant others. Wow, that is a lot of “other”. And the list could go on and on and on. But it does bother me a little. I just dont hope it becomes the thing that she always tries to hide from me. So one pet peve is pretty damn good. I guess a good comparison would be when “the guy” would leave the seat up. So there. Blah. I deal. Damn, it could be worse, she could have really dreadful taste in music and attire and have snaggleteeth. But she totally redeemed herself today and bought me flowers and sent them to work. Very clever and a great play on the traditional dating game. Bottom line was it was just a very tremendous thing to do. This girl can do no wrong.